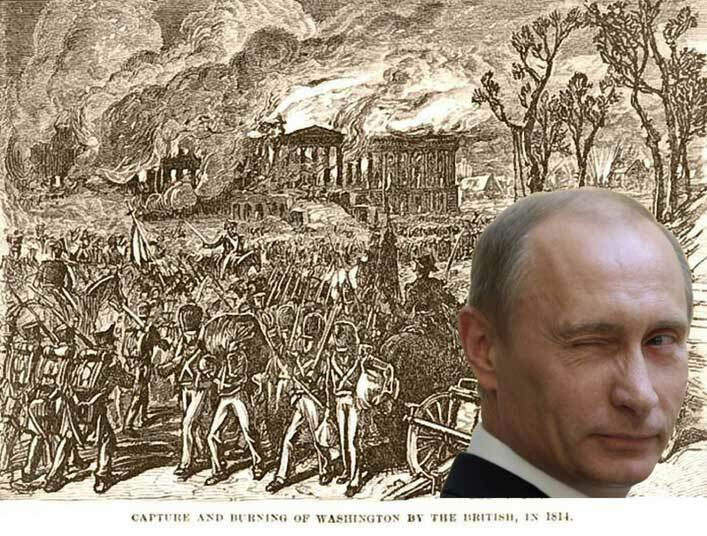 The burning of the White House in the War of 1812 by the British was punishment for the American forces attacking the British after they sent a flag of truce. This part of history is almost unknown to the British but the war of 1812 is celebrated by the Canadians with pride as an example of their ability to defend against a much stronger American forces. This has led to an opportunity by the British to foster improved relations with America with a view to a favourable trade deal post Brexit. Sources inside the MI5 reveal that the British asked the Russians to help out. Russia then unleashed a torrent of fake news on social media using its trolls and bots. This campaign scored its greatest victim yesterday when President Trump used it as a reason for imposing Steel Tariffs on Canada. The success has led to the British partnering with Russia again to help America blame Canada for the British culture of complaining, standoffishness and low tipping.